The Royal Enfield Classic 500 Pegasus limited edition, which was put on a flash sale in July 2018, was an instant hit. All the 250 units reserved for the Indian market were sold out in just three minutes. The motorcycle was limited to 1,000 units across the globe. The Classic 500 Pegasus edition was limited to 1,000 units globally, with 250 units reserved for the Indian market. The motorcycle was sold at INR 2.16 lakh (ex-showroom), and the sore point was the lack of ABS. Customers who managed to book the motorcycle online, however, were left in shock when Royal Enfield launched the Classic 350 Signals Edition in August 2018. Buyers of the Classic 500 Pegasus edition protested that the Classic 350 Signals Edition looked identical to the limited edition 500cc while, at the same time, benefiting from ABS at a cheaper price tag. It is to be noted that the Royal Enfield Classic 500 Pegasus that was introduced in Argentina received dual-channel ABS. What’s makes the Classic 500 Pegasus stand apart from the standard Classic 500? For starters, the motorcycle is sold in two colour options – Olive Drab Green and Service Brown. The Classic 500 Pegasus features a unique emblem and an individually stencilled serial number on the fuel tank, resembling the 250th Airborne Light Company that served during World War II. A 'Made Like a Gun' decal is printed on the battery box. 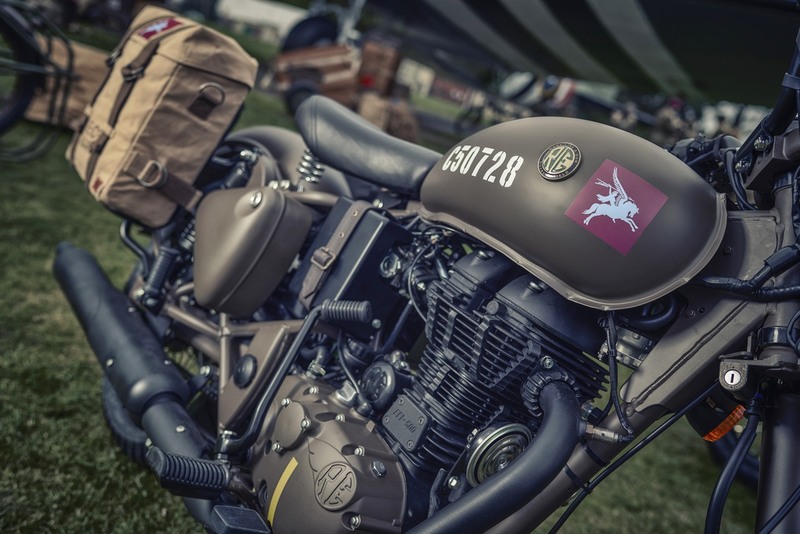 The motorcycle features black painted rims, headlight bezel, pedals, leather strap with brass buckles across the air filter, brown handlebar grips as well as a bespoke set of military inspired canvas panniers with a Pegasus logo. The changes, however, are limited to visuals and beneath the aforementioned accessories is a standard Classic 500. The 499cc single cylinder, air-cooled, fuel injected engine that delivers 27.2 hp of maximum power at 5,250 rpm and 41.3 Nm of peak torque at 4,000 rpm is mated to a five-speed gearbox. A 280 mm disc with a two-piston caliper at the front and 240 mm disc with a single-piston caliper at the rear provide stopping power. Suspension duties are performed by a conventional telescopic suspension at the front while at the back is a twin gas-charged shock absorbers. The Classic 500 Pegasus was sold at INR 2.16 lakh (ex-showroom). In comparison, the Classic 350 Signals Edition was launched in India at INR 1.62 lakh (ex-showroom).